Finally... I found a place where I can post up little things in life that makes me happy....finally , I am able to take a pause in my busy schedule and take a breath of the fresh scent of blooming flowers ...mmm heavenly .....and taking that few minutes to look around me was rewarding . 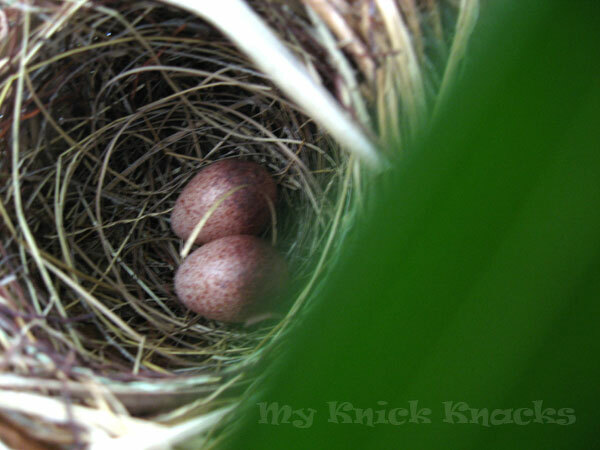 My eyes sighted this beautiful little nest of straw on my bamboo plant with two beautiful eggs in it ! 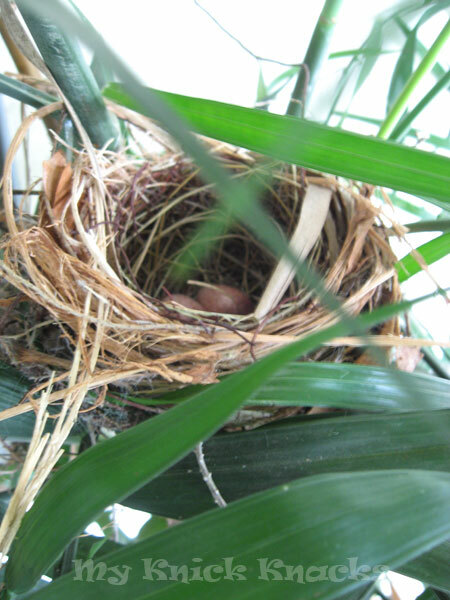 Imagine, the bird just weaved this little nest out of straws and so well structured that it just sit nicely between the stems of the bamboo plant. 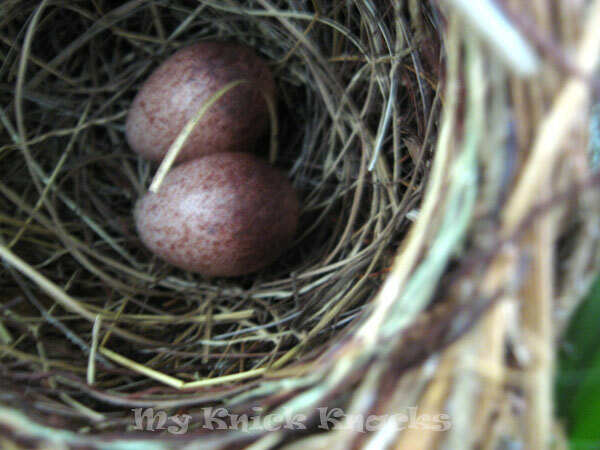 take a peep at the well weaved nest and the beautiful eggs...awesome ! Thank you God for this beautiful lesson ..
Aww ... this is a pretty awesome post. 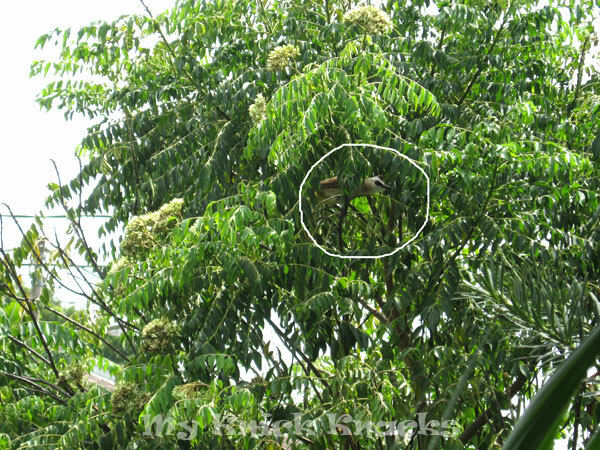 How did u get the pics btw ? were they very high up in the tree ? elin, let me tell you that i enjoy reading these kind of posts, it extends our thinking and could even change our perception on things and people happening around us. Bird is one awesome creature as you can see from my profile photo, ha! 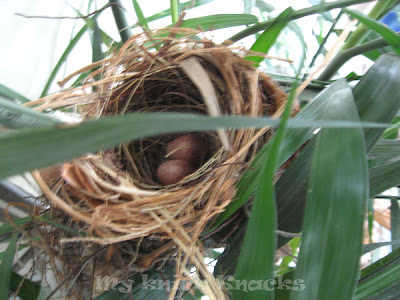 I admire their freedom to fly and their flexibility, they build nests from scratch, anywhere! yes, i'll be dropping by here to read more abt your sharing!! Thanks for reminding me to take a pause, look around and appreciate the earth. Birds Are Great Architects & Engineers !